Floor bioethanol fireplace, in black varnished metal and tempered glass. Burner of 1,5 liters and flame-control tool (it lasts about 12 hours). Made abroad by an Italian company. 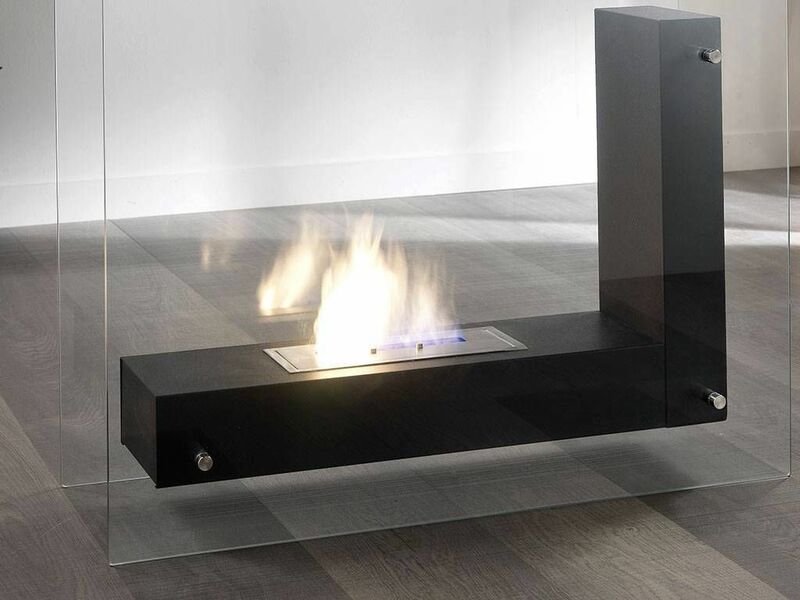 There are many reasons to choose bioethanol fireplaces. 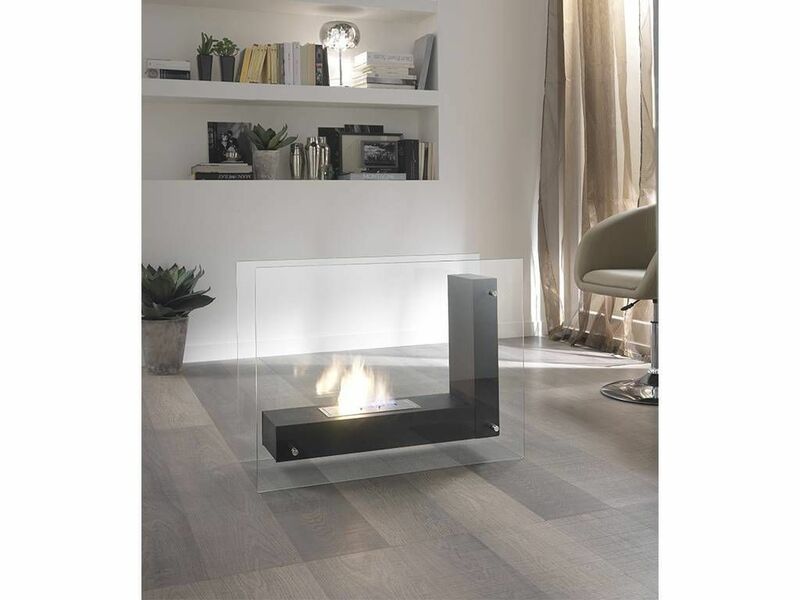 The size and the weight aren't an obstacle if you would like to move the fireplace. They don't need gas or electricity, the fuel to use is the bioethanol, an alternative energy. When Bioethanol burns, it's odorless. It produces only a faint odor, when you extinguish the flame. There are no smoke or toxic emissions, so you won't need a flue. It's a cheap fuel and it's ecofriendly. 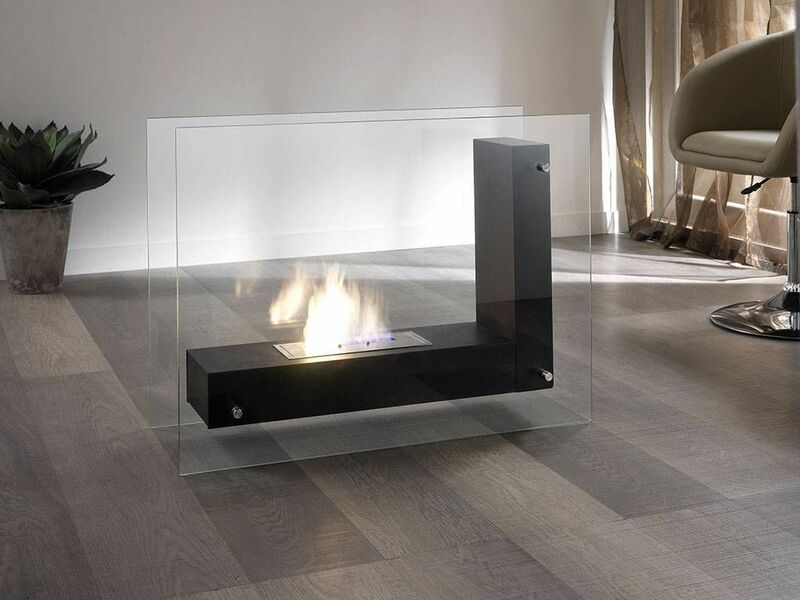 The Fireplaces are made of hi-tech material. The mode of operation is very easy: extract bioethanol from the container, pour it into the burner and light it with the provided electric lighter. The waste is little and easily removable with a cloth.